Last summer’s cast of “Glee!” strikes a pose. Registration is open for our annual Jerry Eckles Music Theater Camps! Children and youth entering grades 2 through newly graduated 12th graders will learn new techniques and hone their skills in musical theater. This year both groups will write, compose, and star in their own fairy tale musicals! Elementary students in grades 2-5 meet during the first week only — June 13-17 — from 9 a.m. until noon, with a final performance at 12 p.m. on the 17th. Directed by Tina Throckmorton. Middle School and High School youth meet for two weeks — June 13-17 and June 20-24 — from 1 p.m. until 5 p.m., with a final performance at 5 p.m. on the 24th. Directed by Chelsea McCurdy. Tuition is $175 for elementary and $225 for youth, payable on or before the start of camp. We extend a 10% discount on tuition per additional sibling. Our fellow Fine Arts organization Tapestry Players will present two musicals in the Rotunda Theater this summer — Into the Woods June 9-12 and The Music Man July 28-31. And they’re currently recruiting chorus singers for the latter! 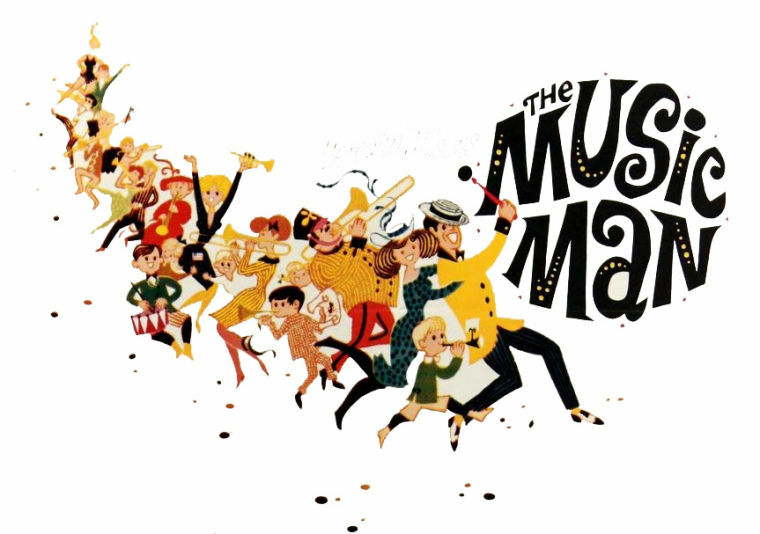 Rehearsals for The Music Man begin in mid-June, and chorus scheduling will be kept to a minimum until a week or so before the show opens on July 28. Don’t forget that our summer term runs from June through August. Check with your teacher regarding his or her availability. Registration is ongoing, so you can enroll/extend your study at any time during the year. And we thank you for your patience during the past months of construction, the ever-changing parking situation, and snafus with our air conditioning system. We promise it will all be worth it in the end! We’ll keep you updated as big things change — stay tuned for details about parking garage construction, which is set to begin this summer in the side lot east of the building. As always please email or call if you need anything. And thank you once again for choosing Bridges Academy — helping people find meaningful expression in the arts.